jonsowman wrote: Yes indeed waue. In the image below, piece 1 snapped off a long time ago. Piece 2 snapped off yesterday only leaving the top one, which doesn't really hold the flap on very firmly. 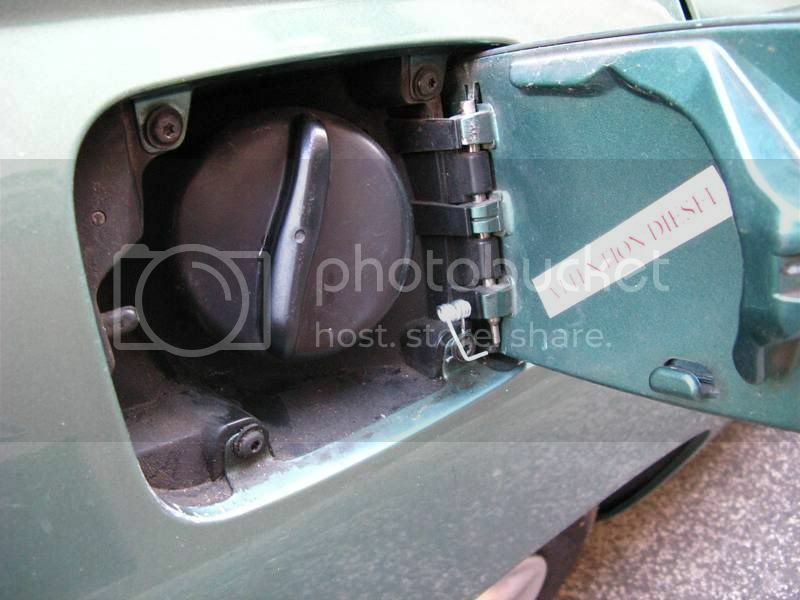 Also the reinforcing bits (circled) don't exist on my car, I assume that picture is from a D9? This seems to be some Peugeot added when they realised reinforcement was required. Your middle piece (piece 1) has snapped so has mine but piece 2 is intact so is the top one lets call this piece 3.... both piece 2 and 3 on mine just pop off with gentle persuation so if yours is the same it should be easy to remove... i did take a pic of piece 2 popped off but photobucket is playing up. What I did with mine is screw a small self tapping screw into the top r/h side under the cap just enough to spring the door open.. Works a treat!! This is how I fixed mine, I got a small spring, I put a small bit of heatshink tubing around both ends so it won't mark the paintwork. Siliconed the spring into place. Right folks, so, I can now delete the picture in my photobucket account now that nobody needs it? 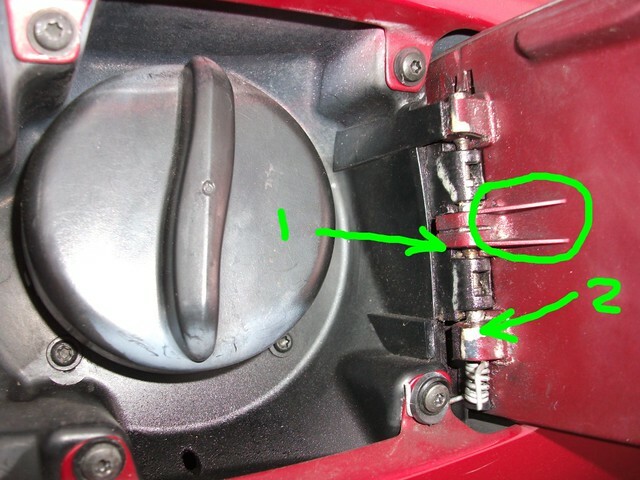 I had the broken fuel flap(spring part broken off), most people put a rag under lever, then open flap. 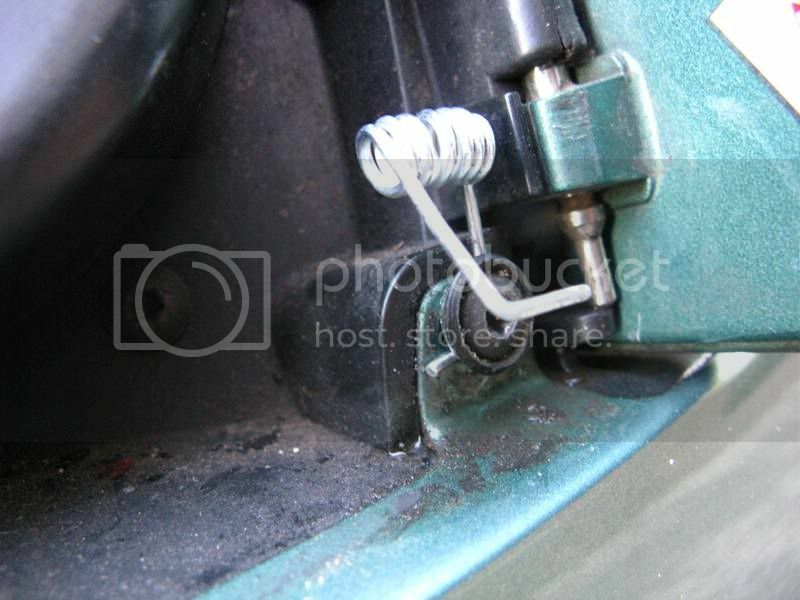 I have replaced mine with a peg spring, unable to attach as it is a PDF, so please go to: Facebook peugeot 406 uk. or please advise how to upload it here. Pink192 wrote: I had the broken fuel flap(spring part broken off), most people put a rag under lever, then open flap. so it wouldn't hold the peg spring tight in its place..
Just read the posts on the filler flap problem , as I just had the problem at the petrol station. I could not find a spring or clothes peg so I came up with the idea of using a small bulldog clip and attach it using the bottom left screw, seems to work well . As I always say use what you got to make it work.Would post a picture , but would not know where to start!! 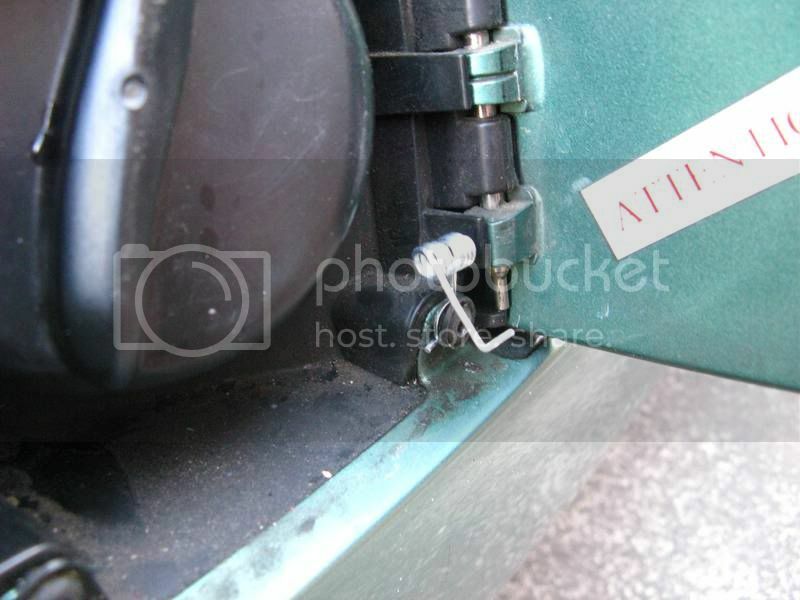 If you glue a rubber grommet on the side of the opening just in front of the catch it will exert just enough force to push the flap away from the catch so you can pull it open. 'Omega' came up with the same solution as me and probably the simplest. Cut a length from a fairly weak coil spring of appropriate diameter and fit one end under one of the self tappers opposite the flap. You can experiment with the length and strength to get give the right amount of 'push'. When you have done it put some grease or Waxoil on it or it will go rusty.